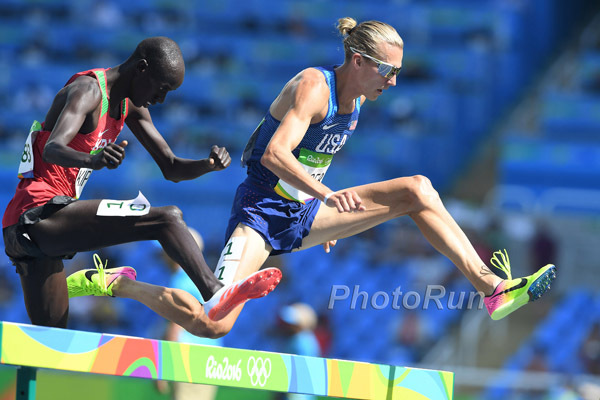 A host of Kimbia athletes will run their final races this weekend before the London World Championships, with Evan Jager, Emily Infeld and Coleen Quigley all set to compete, among others. Jager, the reigning Olympic silver medalist, will compete in the 3000m steeplechase at the Monaco Diamond League on Friday evening. The 28-year-old has been in impressive form so far this year, winning the US Championships with ease on June 25 in 8:16.88. However, Monaco will represent his first race of the season outside the US, and it’s a hot one, featuring Olympic champion Conseslus Kipruto, among others. Colleen Quigley will also be in her first race in Europe this year, though the Nike Bowerman Track Club athlete will compete in Heusden, Belgium, a meeting synonymous with fast times in the distance races. Quigley will sharpen her speed ahead of London with a 1500m, and with a 4:24.88 mile to her name indoors this year, it will be no surprise if her personal best of 4:11.61 falls. Emily Infeld, meanwhile, will also tune up for her 10,000m outing in London with a 5000m race in Heusden, where she will be joined by fellow Kimbia athlete and Nike Bowerman Track Club teammate Shalane Flanagan, who she has been training with in St. Moritz, Switzerland, in recent weeks. 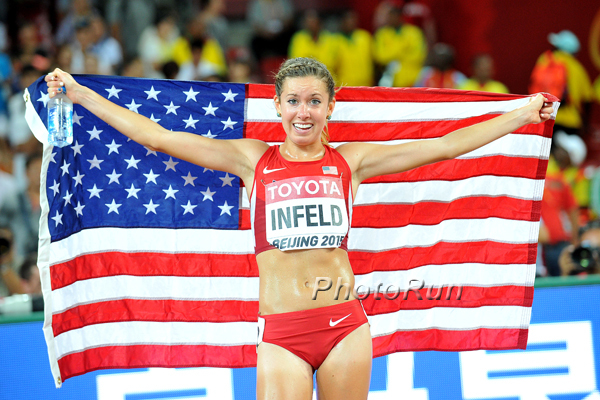 Infeld’s last race was when she finished fifth in Lucerne over 3000m in 8:55.41, while Flanagan’s last race came at the US Championships in Sacramento, where she finished fourth in the 10,000m in 31:31.12. Fellow Kimbia athlete Marc Scott will race over 5000m in Heusden. The 23-year-old clocked a PB of 7:43.37 over 3000m at the London Diamond League last week and looks capable of lowering his best of 13:36.81. Farther afield, Izaic Yorks has been in impressive form in recent weeks, the 23-year-old running a season’s best of 3:37.91 last week in Sainte-Therese, Montreal. He backed that up on Wednesday night with a 3:39.75 run to finish second over 1500m in Seattle, just behind race winner Brannon Kidder (3:39.39).